As both a marketer and mental health advocate, Aaron Harvey has seen firsthand how a small idea can turn into a widespread movement. In 2013, struggling with undiagnosed OCD, he stumbled upon Rose Cartwright’s article for The Guardian about living with a subset of Obsessive Compulsive Disorder known as Pure O. A world away, he decided to start the OCD awareness non-profit, IntrusiveThoughts Inc., to help others find the information he lived without for so long. In Australia, another sufferer, Jordaine Chattaway, was inspired by Aaron’s work, and chose to open up about her struggle in a country where the mental health movement was still in its infancy. In the years since, these 3 advocates have launched novels, chatbots, TV shows, and more, proving that one person's story can go a long way. Today, brands, holding companies, media publishers, agencies, and beyond are all trying to find new and authentic ways to integrate social impact into their organizations. 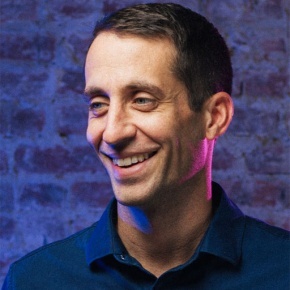 Aaron will use his unique experience to discuss the power of storytelling, digital advocacy, and sustainable CSR platforms so that modern leaders can get their efforts up to speed with consumer demands.